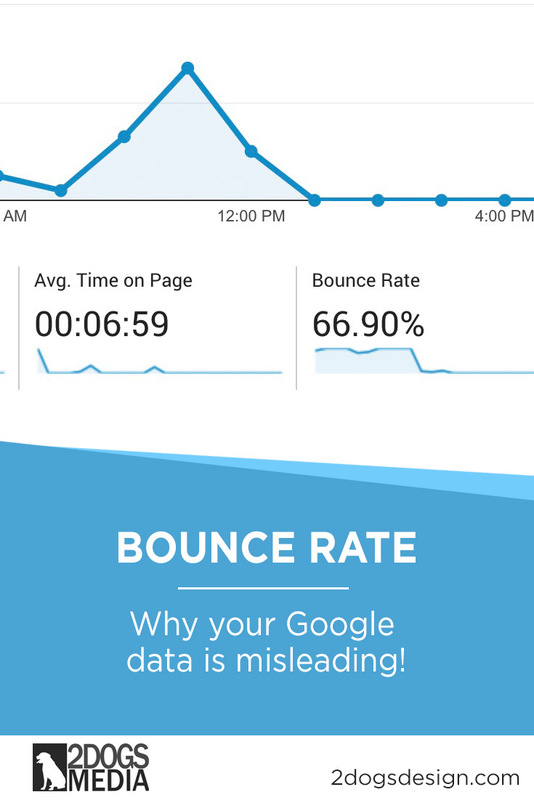 Your Google Analytics Bounce Rate Is Probably Wrong! Bounce rate is one of those metrics we always see people talking about in various forums and groups and every time we hear people be so upset because their bounce rates are so high – it makes us cringe. So we decided to make all you worry warts feel better with a post that will explain why Google Analytics is giving you a false bounce rate metric and how you can work around it. 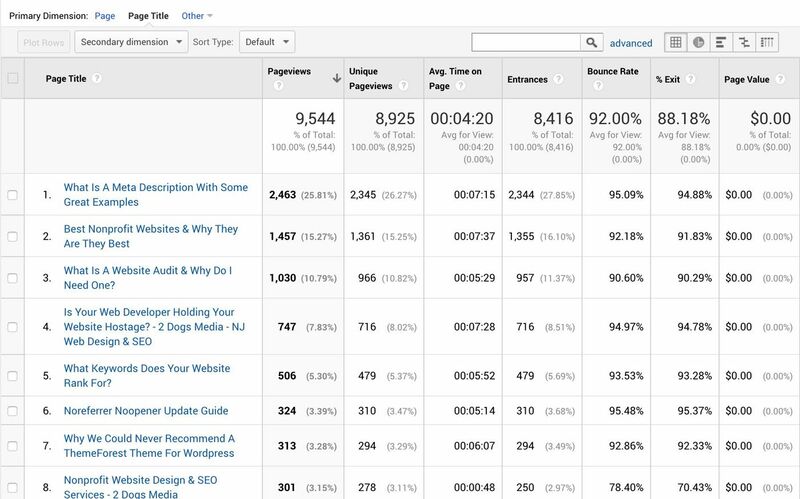 Why Is Google Analytics Bounce Rate Wrong? Why Does This Bounce Rate Difference Matter? Why are these metrics so different? Our New Adjusted Bounce Rate! Is Bounce Rate Part of Google’s Ranking Algorithm? Bounce rate is when a user comes to a page on your website – then leaves your website from that page. But yes, there is more to it as we are going to show you below. Google has described their bounce rate as “a single-page session” on your website. If a person comes to a page – then leaves from that same page, it is considered a bounce. So even if a visitor is on the website for 10 minutes and is actually reading your content – it is still a bounce. Seems wrong doesn’t it? Below we are going to review the analytical data for 2 Dogs Media so you can understand how all of the works. We are going to preface with the fact that while we do have Google Analytics installed, GetClicky is our analytical tool of choice because it gives us more data to work with and we will be profiling that here as well so we have data to compare. For the period July 1 – July 31. 2018 Google Analytics gives us a bounce rate of 92% – yes, in theory this is pretty bad. According to Google this means 92% of our visitors came to a page then left. At first glance this would seem pretty bad. GetClicky is our preferred analytical tool that we use to make decisions on how to modify our website! We feel the data is more accurate. As you can see according to GetClicky for the same time period our bounce rate is 19%. That is a huge difference from what Google Analytics is telling us. Because each of these tools account for bounce rate differently! 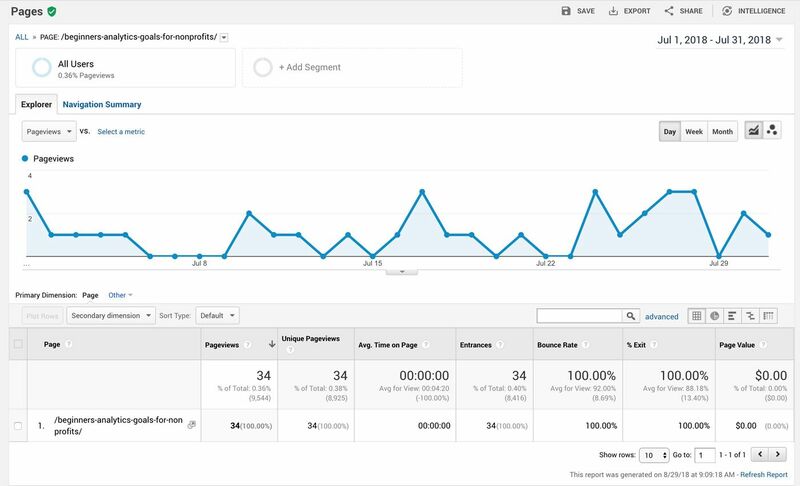 Google Analytics looks at someone landing on a page then leaving that same page as a bounce. It does not matter how long they have stayed on the page – it is still a bounce. GetClicky looks at that same user and will only count it as a bounce if someone was on your page for less than 30 seconds. So anyone that is on the website more than 30 seconds is not considered a bounce at all but an engaged user. So basically GetClicky is accounting for how long someone stays on the page to determine the bounce rate – which makes a lot more sense in our opinion and gives us a more accurate indicator of how well our content is doing. When you are evaluating data and metrics to determine whether to make changes on your website things like this can have a HUGE impact on the decision making process. When website owners see high bounce rates – the first instinct is to change things. For example, I see that my bounce rate in Google Analytics is 92% – which is NOT good by any stretch of the imagination. I would definitely want to see how I could reduce that percentage and will begin looking at my content to see what I can do if anything. First I would I would look in analytics to see what pages have the highest bounce rate so I will go to BEHAVIOR > SITE CONTENT > ALL PAGES then take a look at the bounce rates on a per page basis. But here is the problem — you can see the first 2 pages have a time on page of over 7 minutes – that is pretty darn good! It means people are reading and absorbing the content and we are giving them a good website experience. But the bounce rates are 95% and 92% – so if I were to ONLY look at the bounce rate I would think, whoa I need to make a change! A 7 minute time on page is really good – so I am not going to mess around with those pages. What I WILL do is add more engaging links in those page to see if I can get readers interested in another related page on the site. This will help my bounce rate (in Google’s eyes) – and could potentially bring someone closer to hiring us for something if we are helping them! Let’s compare a single page in GetClicky and Google Analytics to really see the difference. The first screenshot below are the page metrics for our page analytics goals for nonprofits on our website in the GetClicky platform. 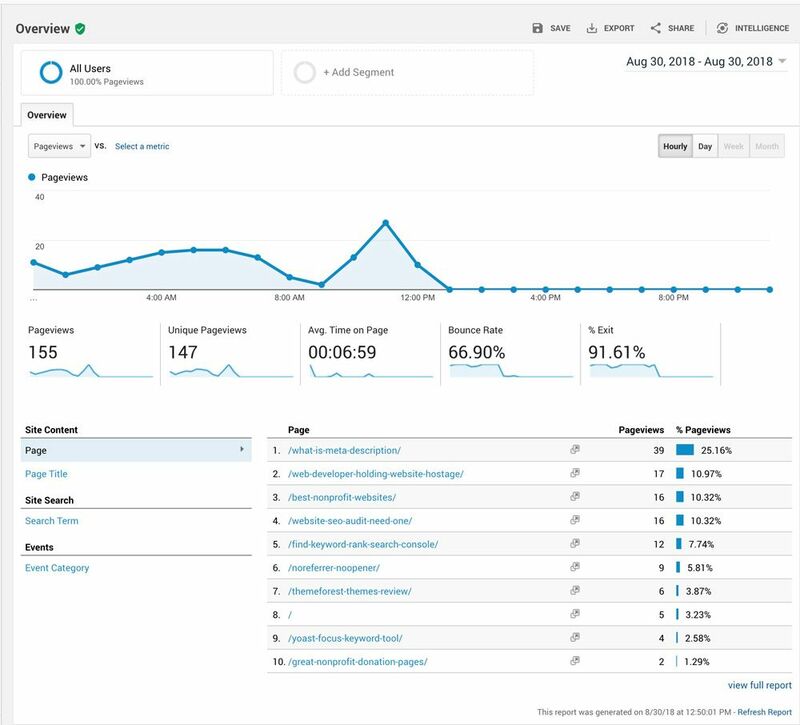 The second is the same page metrics in Google Analytics – both are for the time period of July 1 – July 31, 2018. So if I look at Google Analytics I would think the page is doing horribly and I should scrap it and move on. But GetClicky tells me a whole different story. It comes down to 1 factor. Google cannot determine time on a page if they do not visit another page – so if someone lands on a page – even if they are on it for a few minutes then leaves, Google will show you a 100% bounce rate and no time on page value. There is a work around to get a more realistic idea of what your bounce rate is in Google Analytics – just a simple line of code added into your Analytics tracking. Below is the most updated Universal code from Google Analytics that you probably use on your own website. You can see the new line we added that starts with “setTimeout” – we bolded that line so you can see it easily, but that is the code you will add to your analytical code just like it is shown below. It tells Google that you want to change your bounce rate to reflect what you feel reflects in terms of time – that a user is “engaged”. In the example above we have 30 seconds as our “happy place” for our bounce rate – you can change it to 60000 (in place of the 30000) if you feel 60 seconds is a better time frame for your own website. So if someone is on the website for more than 30 seconds they are not considered a bounce in our opinion and our bounce rate will go down giving us a more realistic metric of how users are interacting with our website. There is no “right or wrong” here and there are too many variables to have an exact good or bad bounce rate. Typically blogs will see a higher bounce rate than say an e-commerce website, but it is relative to your website too. If you have a post with 300 words – you may never have a great bounce rate since there is minimal content. If you have a post with 3000 words – and it is informative and engaging – then your bounce rate may be higher because they take an action or click a link to another related post. For my own website – I have about a 20% bounce rate in GetClicky – this means 80% of the people that visit my website stay longer than 30 seconds. For me this is a good place to be. I look more at time on page metrics than I do bounce rate because I want to make sure I am giving my readers a reason to stay! If my posts are 2,000 words and people are only on the page for 30 seconds – I am clearly failing them. Our average time on page site wide is just over 4 minutes. We have some posts that have time on pages in excessive of 10 minutes which means we are doing great with those posts! We highly recommend you look at these metrics as well as your bounce rate to ensure you are doing great things for your visitors! We just added that line of code from above to our Analytics about 2 hours before posting this article – you can see our adjusted bounce rate is already much better! It will continue to go lower as well as the day goes on since all morning we did not have this adjusted code. Our typical daily bounce rate hovers between 88-92% so this is a big drop – and a much more realistic view of how our content is doing with our visitors. Google has claimed no, they do not use anything from analytics to justify where you rank. We are convinced that bounce rate has no effect on your rank because the metric is such a poor indicator of how well your website is really doing. As our Bounce rate seems to vary more with the weather than with ‘when’ or ‘what’ we post your report on Google has confirmed my muttered ‘REALLY’ thoughts every time I go visit analytics. I question the value of this bounce malarkey as you have proved it false and Google needs to look to its conscience. I had realised (and you confirmed) that people had spent a lot of time on the longer posts so I found those comments really interesting, I will review my links. I need to add that code it’s like giving Google a black eye. I like that. Glad I was able to shed some light! There is a lot more you can do to improve GA but wanted to keep the post simple! I may dig deeper into other options to make your metrics more usable in the future. Oh wow! Thank for shedding some light on this. 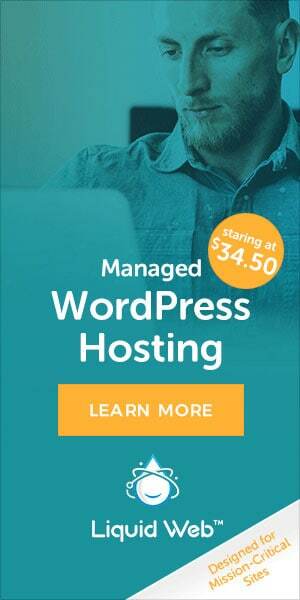 that bounce rate metric really bothered me. My bounce rate is at 80% but the time spent on my long posts is 5 minutes. So Google was serving up fake news! I’m going to add that line of code and definitely going to look into GetClicky. Thanks so much for this! My pleasure! If you have people on your posts for 5 minutes that is great! Keep up the good work!